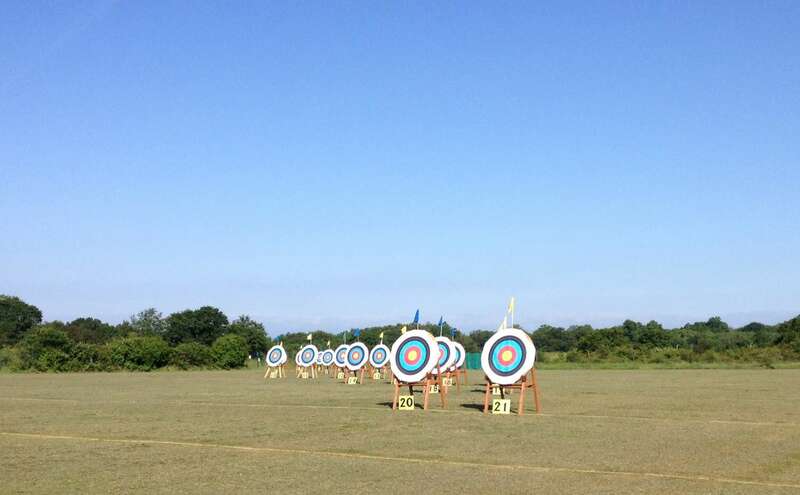 The summer heat began to burn through this weekend as RTAC archers ventured near and far to compete in various tournaments, including our annual summer FITA/Metric club shoot. What a weekend it was! On Saturday 21st June, West Essex Bowmen held their inaugural Junior Charity Shoot in aid of the Help Freddie Walk appeal. Another top performance from our junior Red Ants who battled through the scorching heat today: the higher ground and light breeze saw the sight marks rise slightly. Six made it on the day, each picking up an award – a good percentage of the medals once more. Daniel Ashenden (508) a silver and Charlie Deeks (581) gold in the Junior National. James Ashenden silver (300 points) in the short national. Bronze team trophy for Charlie, Daniel, Grace and James with a score of 1869. Much to the disappointment of Mayflower I picked up the signed “Gillo” – Michelle Frangilli – cap in the raffle…..might have to donate that to the trophy cabinet at the club! According to shoot organiser Neill Boatman it was a long but fantastic day, raising over £1000.00 for the appeal. West Essex intend to stage the shoot again next year, bigger and better: the Red Ants will no doubt be back! Meanwhile, out in the tinder-dry wilds of Cambridge, some of the itinerant travelling archers of Essex found themselves at the Netherhall Archers World Record Status WA1440 shoot. Lauren Bann was shooting the Recurve Metric 3 round, with our good friends Rebecca Griffin of CTR shooting Compound Metric 3 and Thomas Boatman of West Essex shooting Metric 2. I (Tim) was up at the slow end with Paul Ramos of Braintree, James Howell from Mayflower and Clive Atkinson from Ascham shooting the WA1440 90m round. Clive’s wife Suzi was also shooting the Ladies’ 1440. It was a super-hot, breezeless day – near perfect shooting conditions but something of an endurance test: I drank 5 litres of water and scurried back under my umbrella at every opportunity to get out of the searing sun. We also had an old lady wander out of her garden into the overshoot buffer on the right hand side of the field too…she was eventually persuaded to go back, but not without an argument. The heat eventually dropped slightly as the shooting finished and the cleanup began. The long raffle was preceded by the ceremonial cutting of a massive cake, shared out to all attendees which provided a welcome sugar rush…! Lauren, Rebecca and Thomas had apparently shot slightly below par (not surprising given the conditions and events of the day), while Paul R had trounced his PB by 31 points, claimed the 1200 Star badge and got the first of three all-important Master Bowmen scores. He was probably the only one to maintain his humour all day too – well done Mr Ramos. I was hoping to shoot 1200 for an MB score of my own but I was shocked and pleased to find I had made 1259: a Grand Master Bowman score apparently, enough to win the trophy (and a new club record). Next year Netherhall are expanding the shoot to a two-day event with a 70m ranking round followed by Head-to-Heads on the saturday and the full 1440 round on the Sunday. I know Paul and I will return; hopefully we can send a strong RTAC contingent. It was a superbly organised and judged shoot: well worth the journey. 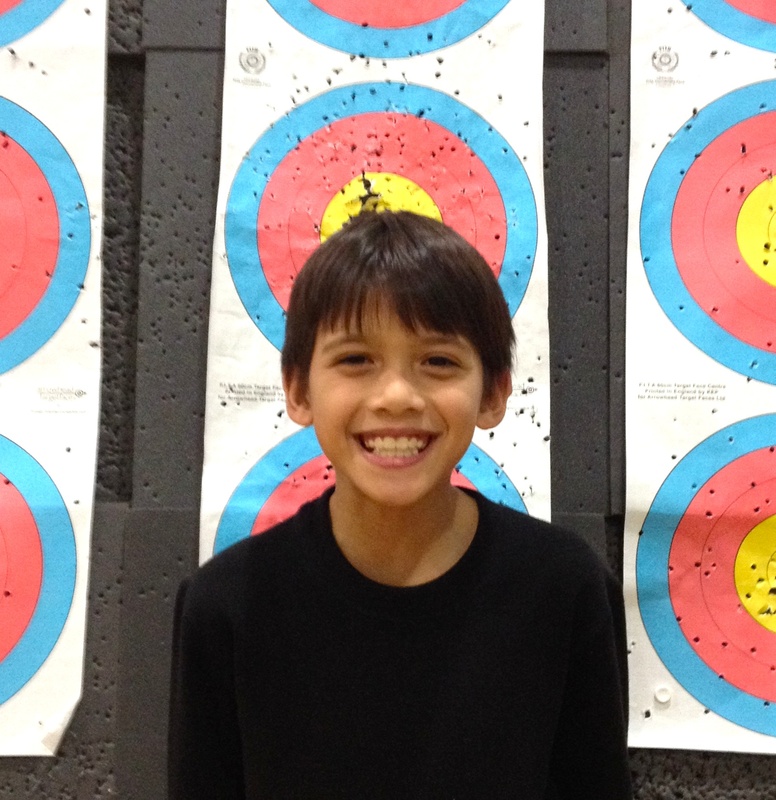 New Club record for Gent’s FITA? His 1244 club record score in the Gent’s FITA, however, has been challenged by Ian Harris who shot a fantastic 1254 on Weds 14th August at Runwell. Ian said he’s often come close to the 1244 set by George but couldn’t quite equal it until now – and fittingly he did it while shooting alongside George himself. Ian has submitted the claim to be ratified by our Records Officer but in the meantime congratulations to Ian for some really ‘solid shooting’!